Come and ride with us. 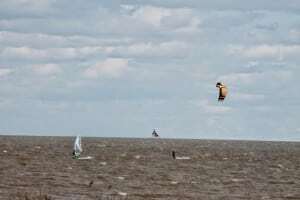 Tuesdays we meet up & go kiteboarding & windsurfing (weather & wind permitting). The goal is to go riding & have fun, bring your gear & come riding with us, got questions or just want to watch, come on out! We’ll post here where we’ll be, what its looking like & the most important thing, ‘IF’ the wind is cooperating & we’re actually going to be able to ride. The usual spots are Maumee Bay State Park & Luna Pier. 4 PM ish is when we arrive. Check back & see whats up! Need I say it????? There is NO wind. No ride night tonight due to alack of the main ingredient. The toxic algae in the water doesn’t help either! Well due to the wind(lack of), direction(not good) & the toxic algae Ride Night is not looking too promising. Final call to be made soon. Well there is always next week!!!! 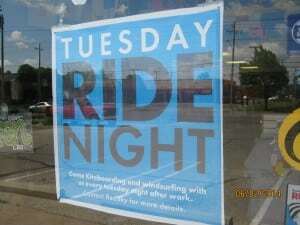 Tuesday ride night is a no go! Due to a lack of this~ http://www.iwindsurf.com/windandwhere.iws?regionID=232&siteID=1870&Isection=Forecast+Graphs & a lot of this~ http://www2.nccos.noaa.gov/coast/lakeerie/bulletin/bulletin_current.pdf Ride night is cancelled! The sensors are looking light, forecast is looking marginal then going to nothing, so I would say Ride Night is not happening(in an ‘official’ sense) BUT if you feel it or see it by all means go for it. I am not feeling that confident. All good things must come to an end. Tonights Ride Night is a NO GO due to the sketchy lite to marginal winds & SW direction. The last 2 Ride Nights were epic so I don’t want to hear any complaints! By the way tomorrow (Wed) is kind of looking good! It looks like ride night is going to be switched to a ride ‘afternoon’. The forecast has changed & the wind is happening now, sailflow has it shutting off/dropping sometime around 4 or 5. The ol’ “snooze ya lose rule” is in effect! Roll early if you can, Maumee Bay state park is the call. Another good ride night(afternoon), showing early was the right call. 7 windsurfers, 5 kiters- the wind pretty much shut off by 6. Fun times out deep! Tonights ride night is looking like it actually might happen, West days are always a little sketchy & gusty so be prepared. Put on your big boy pants! It’s on! Grab your gear & roll out to Maumee Bat state park. big score, if you didn’t show you missed the best ride night ever! Maumee Bay it is, its going to be side off with a wind line waaaaaay out so be prepared to hunt deep! We’re heading out early(right now!). If side off shore doesn’t float yer boat go up to Brest Bay marina, it will be shallow & side shore there! Due to the rains/storms that are moving in Ride Night is a NO GO! Winds right now are light out of the SW & the rainstorm is creeping closer, we’ll try again next Tuesday. Todays Ride Night is everyman(or woman) for himself!!!!!!!!!!!!!! SW winds, make your best bet & roll before the storms form up. Brest Bay works great on a SW http://www.brestbaymarina.com/lake-cam-and-weather.html or Catawba for a big ol’ wave day. Maumee Bay will be side off but blasting once you get to the wind line(if you get out to the wind line that is) which might be a half mile out. Precede at your own risk, its going to be a fragmented group today…It might not last til 5, take it while you can! What time did the late shift call it quits? I pumped up the 14m and went back out. Rode for a bit, wind started dying and Ryan headed in. I stayed out for a little longer and then there wasn’t enough wind even for the 14. 6:30-6:45 ish for me, Liking the Slingshot Joints! Liking the chitty chat with some scantly clad on lookers… conversation could of quickly went south when she asked “is it hard?” yes,… yes it is. wait. what? That was a pretty good ride night, 12 riders in all(6 kite, 6 windsurf). Typical Maumee Bay on a west, blowing 5-25, shifting around from SW to WNW, sometimes within seconds, strange dead spots where there should have been none & big blasting conditions out deep…..in a few more weeks we’ll be longing for conditions like this! Windsurf: Chuck the traveler, Judd, Ypsi Steve, Ryan B, AA Chuck & myself. Kiteboard: John, Matt Ia, Pete, Brad, Andy & Ryan O bringing up the rear. RIDE NIGHT!!!! It looks like this one is a go, some of us are heading out a little early to make sure we don’t miss it (ETA 2pm). Maumee Bay state park is the call, bring your gear & hit the water.